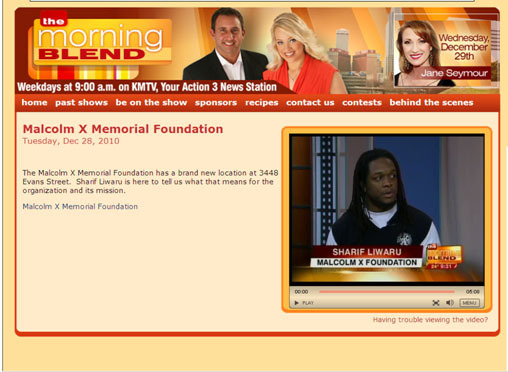 Click the link to see the most recent coverage for Omaha's "The Morning Blend" show on Channel 3. This is proof of my first website video publication! Learn how the official visitor’s & international headuarters of Malcolm X’s birthsite will be utilized for the betterment of our community!